Dr Mani qualified from The Royal London and St. Bartholomew's Hospital, London in 2004 with a Distinction Honours degree. He then completed his vocational training with the Kingston Scheme, and worked as an Associate Dentist for less than two years in Central London based dental practices including Harley Street. 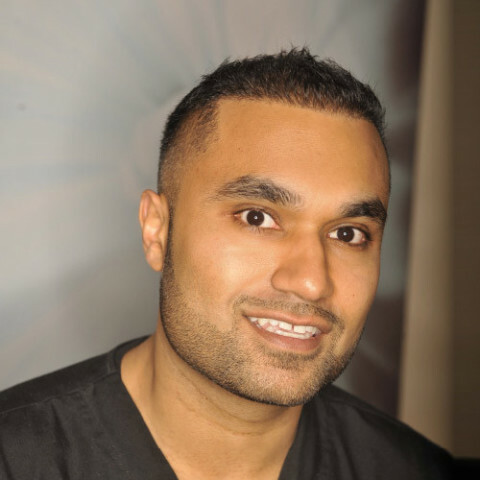 Dr Mani now continues to practice as a Private Practitioner at The Smile Studios in Richmond, where he is the Principal Cosmetic and Implant Dentist. He practices at many other surgeries in the local counties as a Visiting Implant Surgeon with a special interest in Dental Implants and Cosmetic Dentistry. add to the portfolio of practices he has built up. In addition he is the Implant Partner at another six Dental Practices across Southern England. University of Paris V, and many others including most recently University FAPI in Sao Paulo. Working alongside Philips Oral Healthcare as an Key Opinion leader he continues his passion in Dentistry by lecturing in seminars and conferences nationally. Education being one Dr Mani's passions, he continues this by helping other students entering the Dentistry field as one of the lead Directors in PassDental a educational organisation. He is a member of an editorial board for a well known dental journal and writes articles for other journals too. He has an interest in Forensic Dentistry in which he has co-authored articles in international journals and has worked with studies conducted by The Great Ormond Street Children's Hospital. His strive for success is well balanced with the charitable sports events he regularly takes part in.